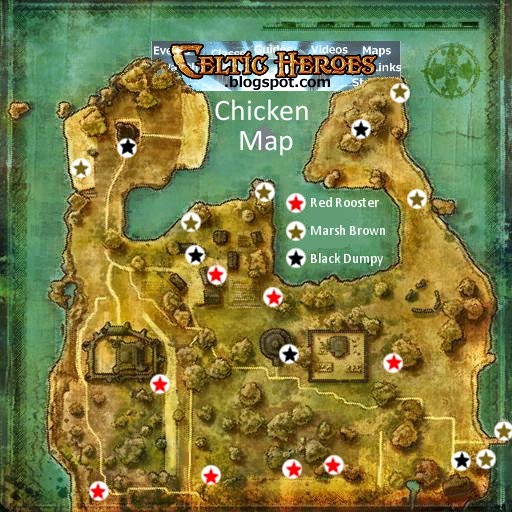 This guide will help you complete the Chicken Hunt quest in Highshore Village, providing a map to all the chicken locations. 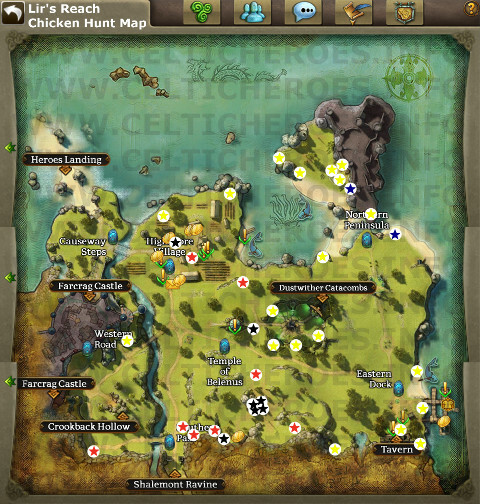 Each chicken spawn point can spawn either a Common Chicken, which is worthless, or a chicken that you need for the quest. 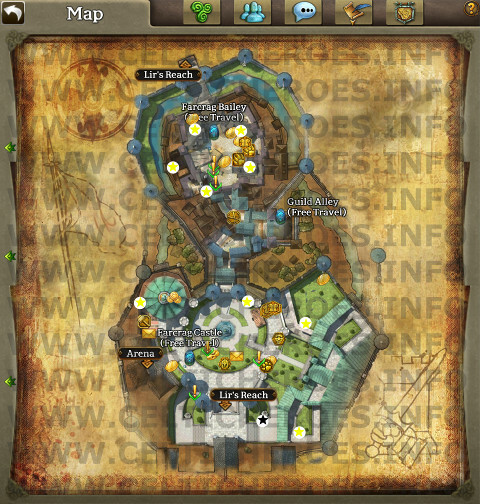 The map below shows you all the spawn points for the chickens, and what chickens spawn at each point. 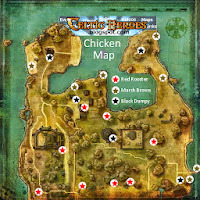 I'm leaving this chicken map on here just for fun, so you can see where the chickens used to spawn in Lir's Reach way back in the day, before Heroes Landing was even created.